Whether you want to print last year’s holiday photos to hang on your mantelpiece or print out last month’s sales report, there is a printer for you. However, not all printers are created equal! Printers come with a number of features and choosing the right printer for your needs is vital. With that in mind here are five key points which you should consider before giving up your hard-earned cash. The first place to start is to decide whether an Inkjet or a Laserjet printer would best suit your needs. Inkjet printers are predominantly used in households as well as in small offices and Laserjet printers are commonly used by larger businesses with a need to print a large number of documents. Laserjet printers are normally faster and are superior to inkjet printers at producing clean text on plain paper. Since they are designed to be used at a business level, they tend to be much more robust than as well. In comparison, Inkjet printers are much better at producing bright, vibrant colours and are therefore the printer type of choice for those that are going to be printing photos. The number of Dots Per Inch or DPI determines the number of particles of ink the printer will insert in every inch of the paper. A higher DPI will result in crisper, clearer prints soother and rounder curves. For photo printing, a higher DPI is key to producing an aesthetically pleasing picture. At the entry-level, most Inkjet printers will provide a DPI of 4800 x 1200 whereas most entry-level Laserjet printers will only be able to manage a maximum DPI of 600 x 600. However, in the mid to high-end range, both Inkjet and Laserjet printers offer a high DPI solution at around 9600 x 1200. SEE ALSO: 11 Printer Tips and Tricks. Don’t be fooled by the low prices on some of the printers as you may find that the replacement inks are the same price of buying a new printer! Most cheap printers will either have expensive inks or the inks will not include much ink within them and therefore will run out much faster than the inks provided by a more expensive printer. Another point to note is that you cannot use although you can purchase copy inks that are generally cheaper than the original inks, you cannot use inks made by a different manufacturer so for example, you wouldn’t be able to useinks manufactured by Canon on HP Printers. In addition to this, some companies such as Epson will only add a new tub of ink and will not give a new printer head when you purchase an ink pack. Although this helps to keep costs down, it does mean that you will need to clean the print heads more often in order to prevent them from getting clogged up and this process is wasteful of ink. The majority of printers will use four basic colours; Cyan, Yellow, Magenta, and black. These are adequate for basic usage but some printers will make use of additional inks in order to improve picture quality. For instance, some printers will add one or two additional colours to have a total of five or six colours as this will improve colour reproduction. Some Canon printers make use of two shades of black to produce deeper blacks. Multifunctional printers come with a built-in scanner enabling documents and photos to be scanned into the computer. The addition of a scanner also means that copies of photos and documents can be created. Most mid to high level printers will come with a built-in scanner due to the cheap cost of adding snacking functionality into a printer. All printers (including wireless ones) can operate via a USB but no printer will come with a USB cable in the box therefore you will need to purchase one if you opt for the wired option. A wireless printer will operate via your wireless network thus enabling the printer to be placed anywhere where the wireless signal can reach. It also means that a USB cable does not need to be purchased. 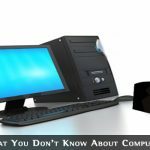 Very informative and useful post – especially for those that are in confused on what type of printer to purchase. DPI is definitely one of the most important things to consider if you print a lot of photos, or even design work, at home! 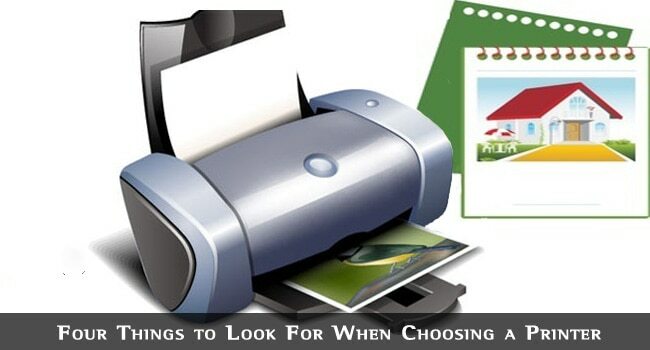 Choosing a right printer for the right purpose is vital indeed. Thanks for the information! Good tips for picking a printer. The really nice printers can sometimes get spendy though. I would say that the most important factor when choosing a printer is what you will be using it for, because if you are only planning on doing high quality print jobs every once in a while, you might just want to get a simple cheap printer and take your few big jobs to a print shop or something.